Who wouldn’t welcome some life advice from J.K. Rowling? The British author has struck gold twice—first with the bestselling Harry Potter series, then again with her Robert Galbraith moniker, under which she published an independently successful crime novel before she was outed as the true author. This was after years and years of hard times; as popular legend has it, Potter started on the back of a cafe napkin. So when a little book of Rowling’s that’s said to contain her own prescription for a “good life” is published, people will take notice. I imagine Very Good Lives: The Fringe benefits of Failure and the Importance of Imagination will see huge spikes in sales around Christmas, graduations—really any time tied to major life events. And that’s good, because Rowling’s lived through plenty of them: divorce, professional failure, poverty. Her pre-Potter wisdom from these experiences coats the pages of this book. Very Good Lives transcribes Rowling’s 2008 commencement address at Harvard University. The text, which you can easily power through in a single sitting, has been available online for years. Really, you can read it via Harvard’s website, where you can also view footage of the address. In that case, there’s really one main difference between reading Very Good Lives and hearing the speech aloud. This latest collection is a dressed-up version of Rowling’s words, charmingly illustrated by Joel Holland, the designer behind Rowling’s Casual Vacancy novel. 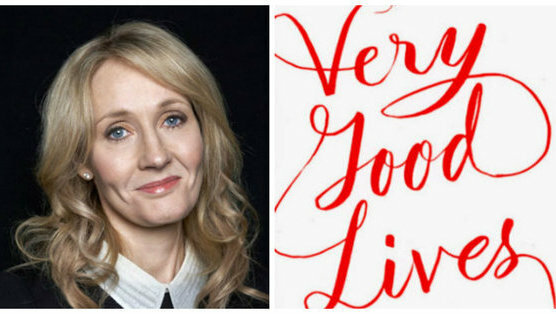 With Very Good Lives, Little, Brown and Co. have turned Rowling’s words into an easy-reading, attractive tribute to the speech—one that’s just as applicable in 2015. And sure, maybe “The Fringe Benefits of Failure and the Importance of Imagination” existed as a speech aimed at students graduating from the most prestigious university in the United States. But like Rowling’s Potter series originally written for children, her work inadvertently reaches toward a much larger audience. Maybe students will take the most out of Rowling’s new book, but her words feel genuine and broadly accessible through Very Good Lives. The quick 71 pages offer a peek into Rowling’s level-headed mind, but these are words of encouragement and inspiration—not necessarily instruction. Those who have heard the speech online might not profit much from dropping $15 on its illustrated pages. But for those who figure this is merely recycling old material as a cash grab, that’s not exactly fair, either. All sales are set to benefit Rowling’s Lumos nonprofit organization, which seeks to end the institutionalization of children, as well as the financial aid department at Harvard (I know…). 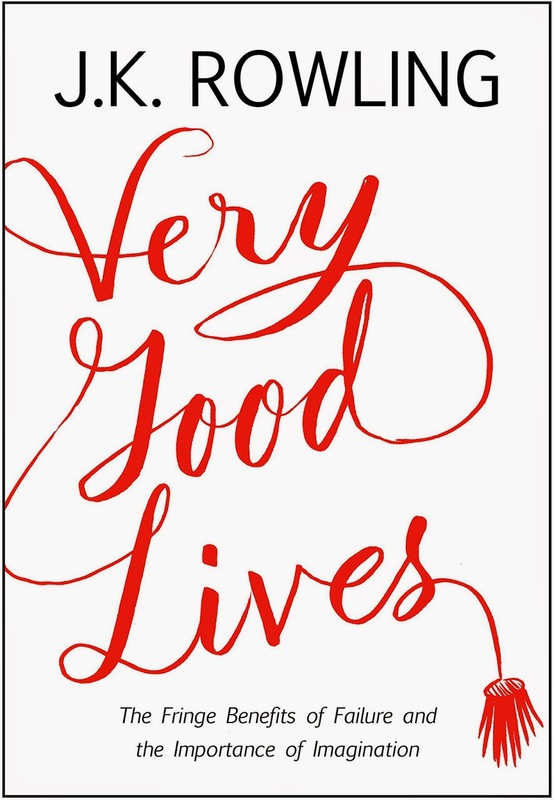 But for most Rowling fans, Very Good Lives is a bonus treat—and a beautifully packaged one, at that.